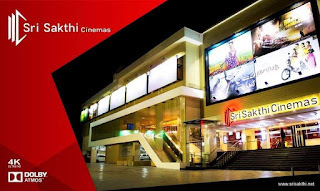 Sri Sakthi Cinemas is one of the most premium film exhibition and distribution company in Tamilnadu. The company was started in 2001 with single screen. Since 2015 the brand has redefined the cinema industry in the region of Tirupur Location with 4 multiplex.